Ford is recalling about 350,000 trucks for a problem that could cause them to roll even after the driver shifts into park. 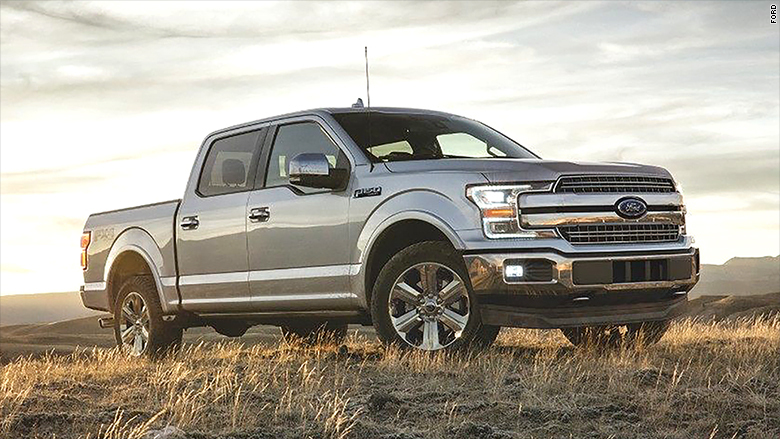 The automaker says in a statement the issue affects 2018 Ford F-150 and Ford Expedition vehicles with 10-speed automatic transmissions, as well as Ford F-650 and F-750 vehicles with 6-speed automatic transmissions. Ford says a piece of equipment on the affected vehicles can become dislodged over time, which means the car won't be in the gear that it looks like it's in, such as park. This means that if the driver shifts the car into park, the car might not actually be in park — and there would not be a warning message to indicate that. If he or she doesn't use a parking brake, Ford says the vehicle could roll. Ford (F) says it's aware of one reported accident and injury. The company is also recalling more than 100 other vehicles for a missing transmission roll pin. If the pin is missing, the company says that the transmission on those vehicles might eventually lose the ability to park, even if the driver shifts the car into that gear. Ford says that problem affects around 160 of the 2017 and 2018 Ford F-150s, 2018 Ford Expeditions, 2018 Lincoln Navigators and 2018 Ford Mustangs with 10R80 transmissions.